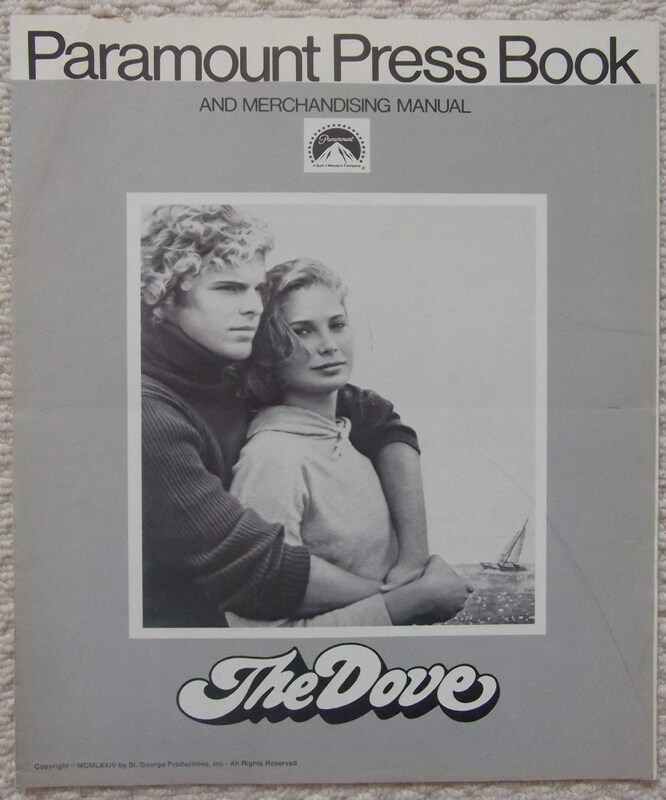 1974 Original Paramount Pictures Pressbook for the film ' The Dove ' starring Joseph Bottoms and Deborah Gaffin. This Pressbook is in VG-Fine condition and measures 15" x 12". It has 6 pages and folds out. It was once folded but has been led flat for a long time. Pressbooks were made for every film from 1910 through to the 1970s. Pressbooks can contain pictures of the posters, articles, advertisements and lots more information about the film. Note that pressbooks can have single sided pages, if it has double sided pages that is classed as 2 pages. I Grade my Pressbooks very strictly. My 'good' grade will be comparable to others ' Very Good' grade. Fine: A pressbook with the tiniest of defects. A fantastic display piece. VG-Fine: A great pressbook for the most avid collector, may have tiny edge wear, the odd border pinhole, or very light but not noticeable creasing. Pressbooks will be placed in a plastic sleeve and shipped between many pieces of sturdy cardboard.